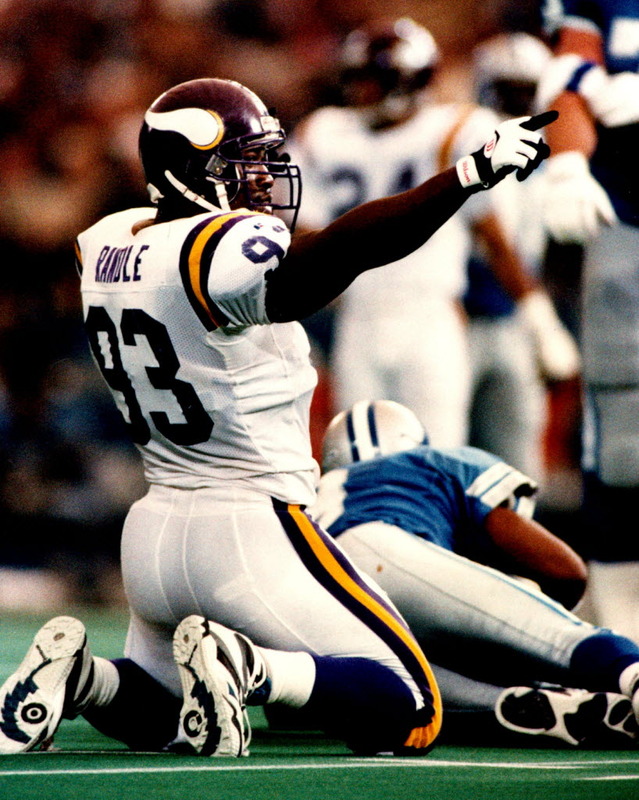 John Randle, one of the NFL’s classic rags-to-riches stories, knows a thing or two about perseverance. So it’s no surprise that this Vikings Hall of Famer thinks last week’s loss at Carolina will end up being a good thing for this year’s team. “I think this one loss right here could really be that one loss that gets them even more focused,” Randle said. “Sometimes, you have to taste defeat and realize what it tastes like. I think guys will remember this loss 10 years from now, 20 years from now. There’s only one way a loss like this would be remembered 20 years from now. And that’s if this year’s team goes on to win the Super Bowl. NFL Films captured Randle’s life story for the 100th episode of the popular one-hour documentaries called “A Football Life.” It’s first showing will be on the NFL Network at 8 p.m. CT Friday. Randle grew up in abject poverty in Mumford, Texas, a 176-person speck of a town near the Brazos River. He was the youngest of three boys raised by Martha, a single mother, in a small, white three-room house sitting up on cinder blocks about 200 yards off the highway. It had no indoor plumbing, a tin roof, no insulation and a kitchen so small that Randle could extend his arms and touch the walls on both sides. Randle went from being an undrafted Division II player at Texas A&I to the league’s highest-paid defender to the record-holder for sacks by a defensive tackle (137 1/2) to Pro Football Hall of Famer in 2010. He lives in the Twin Cities, plays a whole lot of golf and follows his old team closely. “The thing I like is you can see the excitement this new generation of Vikings players have playing the game,” Randle said. “That’s a key element. They’re playing together so well. Randle said the late Dennis Green had a saying.